In the United States alone, nearly 30 million people have been diagnosed with type 2 diabetes1. Diabetes is a disease that affects how the body regulates blood sugar. It can cause severe complications if left unchecked, such as heart disease, kidney damage, and worse. That’s why so many people were excited when Merck & Co. announced that a breakthrough drug called sitagliptin could help regulate blood glucose with fewer side effects than existing type 2 diabetes medications. Merck combined this new drug sitagliptin with metformin to create Janumet. It was quickly revealed that drugs containing sitagliptin did carry several side effects, including lactic acidosis, pancreatitis, and even cancer. As a result, hundreds filed lawsuits against Merck and other makers of similar type 2 diabetes medications. Janumet is a type 2 diabetes drug manufactured by Merck & Co. It was first approved by the U.S. Food and Drug Administration in 2007. Janumet is a combination of two previously approved type 2 diabetes drugs — sitagliptin and metformin. Metformin is one of the first medications given to those with type 2 diabetes. It has a long history that dates back to its discovery in 1922. In the following decades, countries around the world approved the drug to treat diabetes. However, metformin wasn’t officially approved by the FDA until 1994. It was sold under the brand name Glucophage by Bristol-Myers Squibb. Sitagliptin is another active ingredient in Janumet. It was first approved by the FDA in 2006 and is sold under the trade name Januvia. At the time of its approval, sitagliptin was the first of a class of drugs called dipeptidyl peptidase 4 (DPP-4) inhibitors. 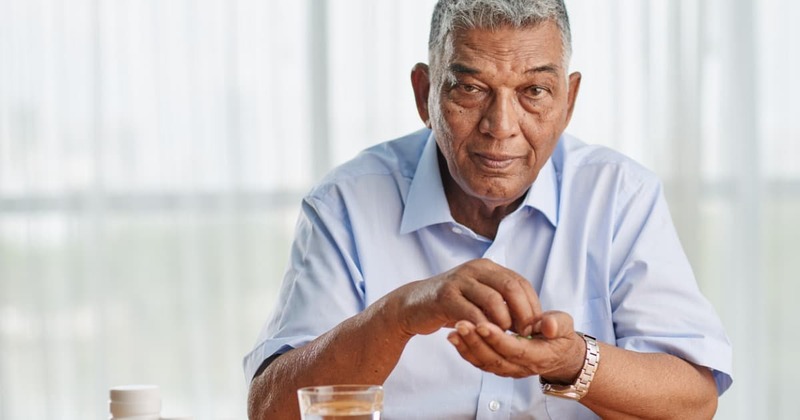 Januvia was hailed as a monumental breakthrough at a time when other type 2 diabetes medications were also hitting the market. When Janumet was released a year later, it was marketed as a drug that could meet the needs of even more patients. In 2012, the FDA approved an extended-release version of the drug combo called Janumet XR. The new formulation allowed patients to take the tablet once a day. Janumet, along with Januvia, became a widely used drug in the treatment of type 2 diabetes. How Do Sitagliptin & Metformin Work? The two active ingredients work in different ways. Sitagliptin works to inhibit DPP-4, an enzyme that stops the body from producing more insulin. When DPP-4 is inhibited, the pancreas is allowed to make more insulin and regulate blood sugar levels. Metformin is believed to work to control blood sugar levels by decreasing the amount of sugar produced by the liver and suppressing appetite. It may also lower the amount of glucose absorbed from food. Besides the common side effects, Janumet has been connected to several, more severe complications. Medications containing metformin have been connected with lactic acidosis. This is a potentially lethal condition characterized by high levels of lactate in the body, resulting in a low pH in the bloodstream. Lactic acidosis can lead to other serious complications as well, such as major organ failure, shock, coma, and death. Since metformin was first approved, the FDA has received post-marketing reports of lactic acidosis in patients taking metformin-containing drugs. Although the risk of lactic acidosis in patients taking metformin-containing drugs is low, the FDA required a warning on medications. The agency later concluded after reviewing studies published in medical journals that metformin could be used safely in patients with mild impairment in kidney function4. DPP-4 inhibitors like Januvia and Janumet are also known to cause severe and disabling joint pain. In 2015, the FDA issued a warning that drugs containing sitagliptin, saxagliptin, linagliptin, and alogliptin may cause arthralgia. The FDA added warnings about the information to all labels of DPP-4 inhibitors. Sitagliptin has also been connected to acute pancreatitis, a sudden inflammation of the pancreas. Between 2006 and 2009, more than 80 cases of acute pancreatitis in patients taking Januvia and Janumet were reported to the FDA. Two patients suffered hemorrhagic or necrotizing pancreatitis that required hospitalization, and another four patients were admitted to the intensive care unit. Because of the reports, the FDA added a warning to Janumet to include information about post-marketing cases of acute pancreatitis in those taking the diabetes drug. “There have been postmarketing reports of acute pancreatitis, including fatal and non-fatal hemorrhagic or necrotizing pancreatitis, in patients taking Janumet,” according to the label5. Pancreatic cancer is also a concern. Some studies have reported a significantly increased risk of pancreatic cancer in those taking drugs containing sitagliptin. One study by researchers from UCLA raised concerns that GLP-1 based diabetes therapies, which includes sitagliptin, may cause abnormal pancreatic growth6. Another study led by Dr. Sonal Singh and published in JAMA Internal Medicine also expressed concerns and urged further investigation. The FDA announced that it was exploring a possible connection between sitagliptin and pancreatic cancer in March 2013, though the agency was being apparent that it had not reached any new conclusions about the safety risks of the drugs. In February 2014, the FDA and European Medicines Agency concluded that the drugs did not cause pancreatic cancer7. Even though the FDA did not make a connection between Janumet and pancreatic cancer, it didn’t stop patients from filing lawsuits against Merck and other DPP-4 inhibitor drugmakers. Plaintiffs in the lawsuits claim that Merck and other drugmakers made a defective drug that causes pancreatitis and pancreatic cancer yet did nothing to warn the public or healthcare professionals. In one case, a woman who filed a lawsuit on behalf of her deceased husband says that he developed pancreatic cancer after taking Janumet for four years. After his diagnosis, he suffered severe physical and mental pain before dying of cancer. She alleges that Merck overpromoted the drug and failed to warn patients about the risks adequately. She is suing over negligence, a failure to warn, design defect, and more. Her case is not unlike hundreds of others from plaintiffs who took incretin-based therapy drugs like Janumet, Januvia, Byetta, and Victoza. As of September 2018, nearly a thousand cases were consolidated in a federal court in the U.S. District Court for the Southern District of California. Although the cases in the multidistrict litigation were initially dismissed under the FDA preemption legal theory, an appeals court vacated the dismissal and allowed the cases to proceed in late 2017. As a result, lawyers around the country are continuing to look for people who have suffered unexpected side effects like pancreatitis and pancreatic cancer while taking Janumet or similar type 2 diabetes drugs. Those who have been affected by Janumet complications may be entitled to compensation. Media Relations. “New CDC report: More than 100 million Americans have diabetes or prediabetes”, Centers for Disease Control and Prevention, https://www.cdc.gov/media/releases/2017/p0718-diabetes-report.html. Accessed September 29th, 2018. AMY CLARK. “FDA Approves New Diabetes Drug”, CBS News, https://www.cbsnews.com/news/fda-approves-new-diabetes-drug/. Accessed September 29th, 2018. Merck & Co., Inc. “What Is JANUMET?”, Merck & Co., Inc., https://www.janumetxr.com/what-is-janumet/. Accessed September 29th, 2018. U.S. National Library of Medicine. “APPENDIX AFDA SAFETY ANNOUNCEMENTS FOR METFORMIN”, U.S. National Library of Medicine, https://www.ncbi.nlm.nih.gov/pubmedhealth/PMH0090404. Accessed September 29th, 2018. Merck & Co., Inc. “HIGHLIGHTS OF PRESCRIBING INFORMATION”, MERK, https://www.merck.com/product/usa/pi_circulars/j/janumet/janumet_pi.pdf. Accessed September 29th, 2018. Enrique Rivero. “Research suggests popular diabetes drugs can cause abnormal pancreatic growth in humans”, UCLA Newsroom, http://newsroom.ucla.edu/releases/ucla-university-of-florida-research-244467. Accessed September 29th, 2018. Amy G. Egan, M.D., M.P.H., Eberhard Blind, M.D., Ph.D., Kristina Dunder, M.D., Pieter A. de Graeff, M.D., B. Timothy Hummer, Ph.D., Todd Bourcier, Ph.D., and Curtis Rosebraugh, M.D., M.P.H.. “Pancreatic Safety of Incretin-Based Drugs — FDA and EMA Assessment”, New England Journal of Medicine, https://www.nejm.org/doi/10.1056/NEJMp1314078?url_ver=Z39.88-2003&rfr_id=ori%3Arid%3Acrossref.org&rfr_dat=cr_pub%3Dwww.ncbi.nlm.nih.gov. Accessed September 29th, 2018.